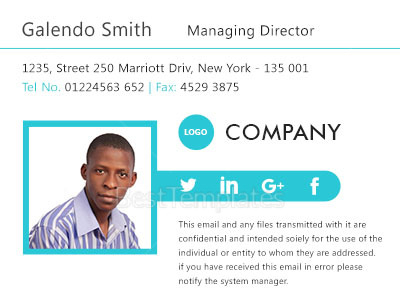 Create a lasting first impression to potential clients and colleagues using this easy on the eyes and elegant Managing Director Email Signature Template. 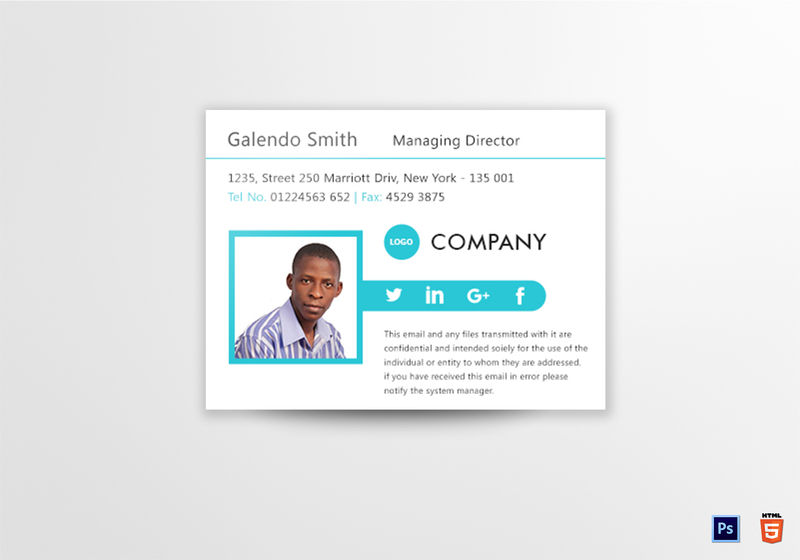 With fully customizable layouts and standard fonts, be able to easily edit and replace high quality 72 dpi resolution photos and images to your heart’s content. Simply download and get instant access to the file format chosen such as HTML or Photoshop that supports your favorite software application.